On highways across America, a tribe of people called The True Knot travel in search of sustenance. They look harmless – mostly old, lots of polyester, and married to their RVs but as Dan Torrance knows, and spunky twelve-year-old Abra Stone learns, The True Knot are quasi-immortal living off the “steam” that children with the “shining” produce when they are slowly tortured to death. Then Dan meets the evanescent Abra Stone, and it is her spectacular gift, the brightest shining ever seen that reignites Dan’s own demons and summons him to a battle for Abra’s soul and survival. This is an epic war between good and evil, a gory, glorious story that will thrill the millions of devoted readers of The Shinning and satisfy anyone new to the territory of this icon in the King Canon. 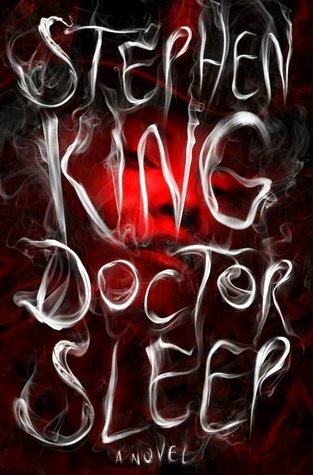 Doctor Sleep is a great work of fiction, Stephan King did a fantastic job bringing to life the rest of Danny Torrance’s reality. How he develops and who he becomes, how his past circumstances helped and hindered him in his development in his formative years and how that crossed over into adult hood where he was a struggling alcoholic was all very believable and made perfect sense. One thing of note, this is not a sequel in the traditional sense and in my opinion it comes across as more of a companion novel which made this all the more fun to read. Dan Torrance’s character was soft, gentle, but he was also hard, and kept to himself. It was interesting to read how he would spiral, then build himself back up again only to spiral out of control once again. I was definitely happy when he finally got sober and was very happy to see that he stayed sober throughout the novel. I was disappointed however that Dan lost some of his ability in regards to his supernatural powers and was happy to find that eventually they came back. It was surprising to me that as a main character that Dan wasn’t the strongest character however, I believe that made the story more engaging and believable. Doctor Sleep wasn’t as scary as ‘The Shinning’ and I found ‘The True Knot’ not nearly as scary as I had been hoping they would be. Beyond the odd scene here of there, the focus on their power and what they were was more lackluster than I would have hoped. They weren’t nearly as scary as the cover flap would have led me to believe. I was hoping for more of a ‘coven’ feel in terms of their group but they seemed a little disorderly and for some reason I kept imagining them as people with poor hygiene and broken down RVs although it was clear that wasn’t what they were like. I found Abra’s character engaging, she was spunky and head strong. She is a twelve year old girl with terrifyingly strong powers and she was aware of them. She also struggles with trying to be normal in a world where she can never be just like everyone else. She’s unique, talented and beautiful and stronger than anyone else in this universe that Stephan King has created with ‘Doctor Sleep and the Shinning’. I found it refreshing however that she had flaws because as we all know a perfect character isn’t interesting to read at all. Characters need strengths and weaknesses to make them relatable and more realized. Over all, I really enjoyed Doctor Sleep. It was a fantastic addition to my Stephan King collection and I’m very much looking forward to all of the books that he writes in the future though I am not sure if I’ll ever anticipate a book the way I anticipated ‘Doctor Sleep’. Doctor Sleep was a great way to start my October reading month. If you’ve read Doctor Sleep what did you think of it? Or perhaps if you’re not interested in reading Doctor Sleep why not? 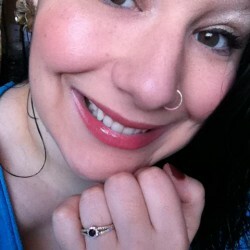 Interested in what you all are thinking!